When will be Speaker's House next episode air date? Is Speaker's House renewed or cancelled? Where to countdown Speaker's House air dates? Is Speaker's House worth watching? A series of lectures given at Speaker's House in the Palace of Westminster. Baroness Williams of Crosby delivers a lecture on Charles Kennedy in the Speaker's House, from Tuesday 29 November. Gordon Marsden MP delivers a lecture on Clement Attlee in the Speaker's House, from Monday 12 December. Margaret Beckett delivers a lecture on John Smith in the Speaker's House, from Monday 7 November. A new series of Speaker's House comes to BBC Parliament in 2017, with a raft of politicians, journalists and industry-expert speakers discussing a range of topics, including higher education, the NHS and the press. Broadcast from the Palace of Westminster, episode one sees Chair of the Defence Select Committee Rt Hon Julian Lewis MP as Speaker, with Deborah Haynes, Defence Editor at the Times, as Responder. 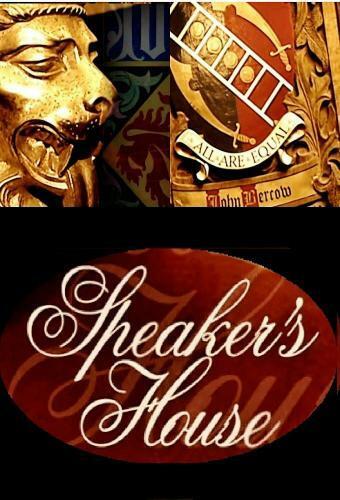 Speaker's House next episode air date provides TVMaze for you. EpisoDate.com is your TV show guide to Countdown Speaker's House Episode Air Dates and to stay in touch with Speaker's House next episode Air Date and your others favorite TV Shows. Add the shows you like to a "Watchlist" and let the site take it from there.